Creative Community Grants Now Available! Calling local creatives! 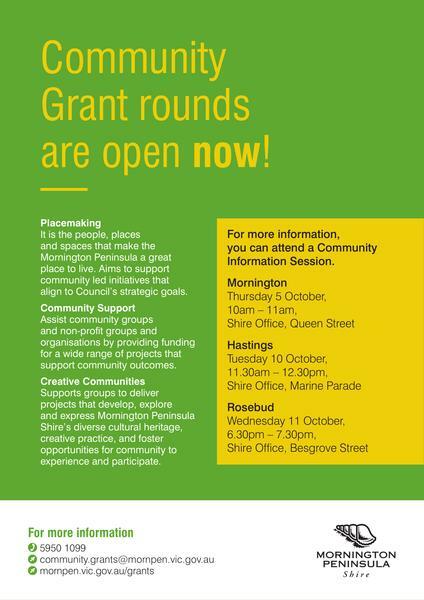 The Mornington Peninsula Shire's Creative Community Grant round is now open. Grants of up to $5,000 are available for incorporated non-profit organisations to work on a creative project with a local community benefit within the municipality. 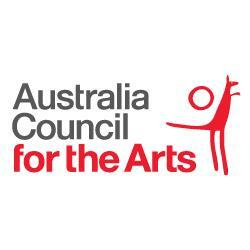 The Australia Council for the Arts offer Career Development grants from $5,000 to $25,000 to individual artists, arts workers and groups of artists.